To tweet or not to tweet is no longer the question. Instead, startups should ask themselves what and how to do so — especially during the holidays. As consumers in the digital age, we’ve grown accustomed to change. Just like we adapt to societal changes, social media must adapt to our altering social preferences and needs. For that reason, social media platforms such as Twitter and Instagram have developed complex/ever changing algorithms to present users with what they truly value. One value shift that these algorithms have allowed for is the shift from a chronological feed to feeds based on relevance. While this may add value to consumers, social media marketers may have found that the type of posts that once gained the most visibility are now those with the least likes. This constant pressure to shift gears with social media tactics isn’t necessarily a bad thing, though. You will find more value for your startup if you learn to play these updated-cards right. Here are a few pointers to consider when posting on either Twitter or Instagram. The “Season of Giving” is a gift for digital marketers seeking engagement with followers/customers. While consumerism has always been prevalent around the holidays, customers are actually emptying their wallets more than usual this year – according to a Deloitte survey, 79% of holiday shoppers intend to spend as much or more than they did 2 years ago. Not only is this a perk for startup’s seeking sales growth, but it’s also great news for companies seeking more social media traction. Because Twitter/ Instagram algorithms favor post engagement, positioning your posts towards the holidays can attract previously unengaged users and will stop their scrolling thumbs. Positioning posts to what customers currently value – whether it’s Christmas shopping tips or playing along with the latest #Trends – will not only beat the algorithms but will also make your company more personable/relatable long-term. If your target audience isn’t engaged in your post, chances are they’ll scroll right by it. And if they scroll past it, the algorithms will push you further out of their sight, too. That’s why it’s key to deliver a “call to action” while posting online. Asking questions is a great way to get people thinking and involved with what you’re posting. And the more comments your post receives, the better ranked on the feed your post will become. A successful CTA doesn’t have to just ask questions to inspire. These also can include eye-catching words like FREE or TODAY with a link attached, or encouragement to click the “link in bio.” Calls to action will make your followers see that they’re gaining something by following you and will keep them around for future likes/shares. Remember that time when you only saw Donald Trump’s tweets when they were posted? Or when sports teams could update you with real-time scores via Instagram posts? While those days are long gone with the new relevance rankings, there’s still an opportunity to gain real-time reactions from posts. Live videos are the latest trend in showing real-time updates and highlights. One of the newest app trends, HQ is a great example of how this strategy can succeed. They’ve gained tons of popularity by offering consistent live trivia shows that users can engage in a real-time fashion with. Social media live videos similarly deliver real-time conversations with live comment feeds. So while your posts may not be visible when you want them to be, live video is a solution for those highlights/information that needs to be shown right away. While same-old Instagram photo/graphic posts may get pushed to social media rock bottom, the new trend towards videos can help you stand out. 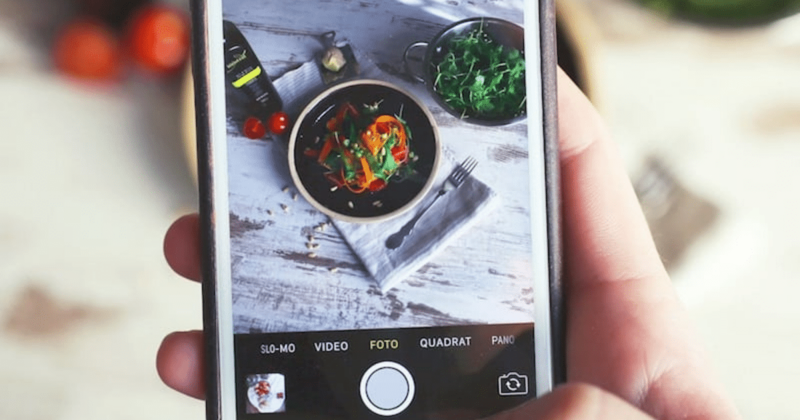 With one of Instagram’s recent updates, videos now play automatically on the feed. Videos have become one of the most powerful attention grabbers on the internet. In fact, Cisco projected that global internet traffic from videos will make up 80% of total internet traffic by 2019. With a visually appealed user base, it’s no question that Instagram is a perfect fit for video marketing. According to Forbes, Instagram is the best site for engagement largely due to its visual nature. Keeping this in mind may result in your next Instagram post gaining more visibility than ever before (especially if there’s a holiday theme or call to action involved). While keeping up with new social media trends can seem like a lot of work, not paying attention to these changes will result in way more work in the long run. Shifting your posts to the holidays/trends, calls to action, live updates, and video-content may result in the greatest gift your startup’s social media accounts could receive.